If you want to get in touch with the colonial history of the Caribbean you should visit the best tourist attractions in Trinidad Cuba. 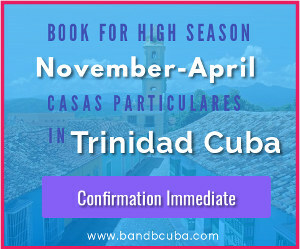 In Bed and Breakfast in Cuba, bandbcuba.com, we will like to talk to you about the capital of Sancti Spiritus. It's a place you don't want to miss on your next trip to the island. Trinidad is located in the central region of the island. 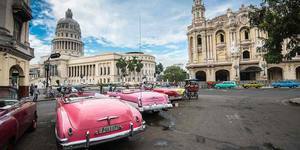 It's easy to get there from any major city of Cuba. As we just said, this is the capital of the Province of Sancti Spiritus. It's a place that it's like frozen in time, when you get there you can have the feeling of being in a different era. Havana: around 4 hours by road. 315 kilometers. Varadero: around 4 hours and 265 kilometers. Cienfuegos: 85 minutes or 120 kilometres. You can get to Trinidad by bus, taxi or rent a car. By bus is very easy and more affordable, there are buses traveling to this town every day from the main cities of Cuba. The cost is different depending on where you are at, it may vary from 6 dollars to 37. By taxi is a good option if you are a small group. From Havana, it can cost 160 CUC/dollars. You can stop wherever you want on the road and take pictures. And you will have a story to tell because the taxi will be an old American car. Renting a car is not so expensive, but it can be difficult, you should book it ahead because you will probably not find one available. In this place, you will appreciate the view of colorful houses and terracotta roofs, this kind of architecture can be seen in the city center, the historical center of Trinidad. You will want to walk around those buildings that are from the 18th and 19th centuries, but that is well maintained. The streets are made of cobblestones, they are traditional, and also well maintained. You will find historical churches, bell towers that have panoramic views. Trinidad in Cuba is a place we recommend you to include in the list of cities you will visit on your next trip to this Caribbean island. This is a colonial town, and it is well preserved with colonial architecture. It has an old part that has the status of UNESCO heritage site since 1988. The Unesco explains that this town was founded in the early 16th century, specifically its history beginning in 1514 when it was founded by the Spanish conqueror Diego Velazquez. It was founded in “honor of the Holy Trinity, the city was a bridgehead for the conquest of the American Continent. Its 18th and 19th- century buildings, such as the Palacio Brunet and the Palacio Cantero, were built in its days of prosperity from the sugar trade”. That is because for more than 200 years Trinidad in Cuba was prosperous, and a principal trading center for slaves and sugar. In the 19th century, they produced a third of the amount of sugar that Cuba exported. The buildings around the main square where the property of the wealthiest man of that era, they were land-owners. These constructions are proof of a better time, a luxurious past. And some of these are part of the ones we will mention in this post as tourist attractions in Trinidad Cuba. The rise of Trinidad on its early years ended around 1850, the town started to be more isolated, and the wealth was no longer a reality. Somehow, this is the reason why there are not so many new buildings. 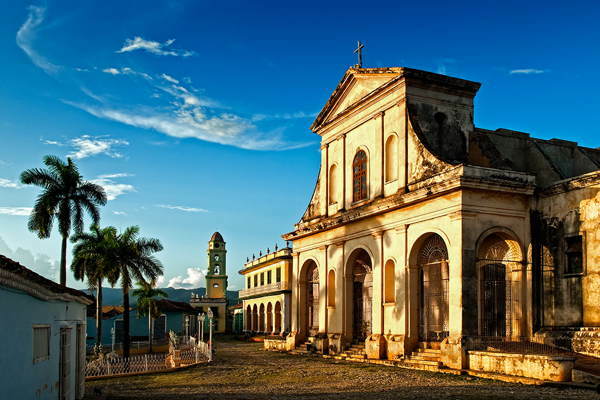 Today Trinidad is one of the main tourist destinations in Cuba. It can be appreciated because you will not find elsewhere in the world like this town. It is serene, calm and beautiful. There are 55 blocks in the historical center with cobbled streets, walking around those can give you an idea of the importance of this city. When you visit Trinidad in Cuba you will see one of the most charming towns in the word with it's colonial architecture. It's well preserved, the colonial buildings are well maintained. In general, the whole town it's preserved like it was in the 18th century. This town also can be a started point to day trips to different mountains and beaches. You can go to Sierra del Escambray or to Playa Ancon, to Valle Los Ingenios, this last one is also a UNESCO Word Heritage site. Get lost in the streets of this lovely town, walk around and appreciate the streets, the bright of the walls and the vintage cars. 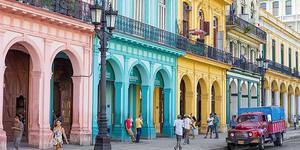 This is not a surprise, if you visit a colonial city the square is the city center, and a must see place. Here in Trinidad Plaza Mayor is in the heart of Trinidad, around it you can see churches, museums, and other historical places. You can just sit in one of the benches in the Plaza Mayor and appreciate the view, the architecture and the locals in their everyday life. It's a peaceful location, but it's not weird to listen to live musicians. This is the best place to start a tour around de town. Starting here you can visit the Historical Local Museum (Museo Histórico Municipal), the church Iglesia Parroquial de la Santisima Trinidad, and many other museums and places to see the local architecture, like the mansions from the colonial era. According to Lonely Planet this is the most photographed spot in the town. The fee is 2 CUC. You can go around the museum and climb to the tower. It's located in Simon Bolivar 423, a big yellow building. You will enjoy the historical items in the museum like maps and documents. It also exhibits things of Valle de Los Ingenios, object from the slave era and the wars for the independence. The top tower of this colonial building will give you one of the best views of Trinidad. There are spiral staircases that will get you to the top of the tower in the museum. The pictures you will take there are breath-taking. This building originally was a mansion that belonged to the Borrel family in some years of the 19th century. They sold it to a German planter, whose name was Kanter, or Cantero, and that is why it's known as Palacio Cantero. Museo de Arquitectura Colonial, it is in another 18th century mansion. You will see how the houses looked like back them, and will see a 19th century bathroom. Museo Romantico or Palacio Brunet, another mansion, this one belonged to a sugar baron, a wealthy man called Conde de Brunet. You will see some luxury items from various wealthy families of this town. Museo Nacional de la Lucha contra Bandidos or Iglesia y Convento de San Francisco. It has a yellow and green bell tower that you will see from different places of Trinidad. It was built in 1813 by Franciscans. According to Lonely Planet this is the main tourist attraction in Trinidad. This is the closest and the best beach around, it's 5 minutes away from Trinidad. It's part of the southern coast of Cuba. It can cost you 5 to 10 CUC to catch one American vintage taxi that will get you there. If you are more adventures or athlete you can rent a bike and ride there, it would take you around 1 hour. The beach has white sand, turquoise water like crystal clear, it has 4 kilometers of coast. You can spend there one afternoon, enjoy some cocktails and see the sunset. If you like you can scuba dive there, renting the necessary equipment. If you are staying in Casas Particulares in Trinidad this will be an excellent day trip to take. You can also take a boat ride, a short one, from this beach to Cayo Blanco and appreciate the beauties there. It’s a good place to do snorkelling. This is located in the upper end of the Plaza Mayor. It has a neoclassical architecture style. It's the largest church in the whole country. It was rebuild in 1892, after a major storm destroyed the original church. The church has a statue, the Christ of the True Cross, whose data is from 1713. When you get there you will see the history behind this image. To Valle de los Ingenios, this place is located at the east of Trinidad, to get there you will use the road to Sancti Spiritus. It's a green scenery, you will see sugar cane fields, palm trees and mountains. As we said before it has the tittle of UNESCO Word Heritage Site. You will visit the Mirador de La Loma del Puertos, Manaca Iznaga tower, two places that will help you appreciate the view of the valley. Waterfalls near Trinidad, within an hour of distance from Trinidad you will find some beautiful waterfalls. Like Salto del Carbuni, El Nicho, Vegas Grande, and others. Horseback riding, you can go around tobacco farms, and hills around Trinidad. Exploring the surroundings of the city center. Hiking, you can do this activity in some mountains close to Trinidad, like de Topes Collantes Natural Park. Tobacco fields: we mention that you can do this by horseback. You will see a lot of restaurant and coffee shops there. Try some good local meal if you are staying in Casas Particulares. But also get to know some local restaurants, the most popular are Palador Sol y Son and Restaurant San Jose. In Cuba you will like to enjoy the music and party, in Trinidad there are places for different tastes. You can hang around Plaza Mayor, or visit a local bar or restaurant. Some good places to enjoy the nightlife are the Disco Ayala club or Casa de la Musica. When visiting Trinidad keep some of the same safety measures that in Havana. Avoid the hustlers, don't buy anything that people offer on the streets, especially cigars. Don't rent anything on the streets like bikes or tours, go to stores to do this. But don't be rude when rejecting them, be polite and friendly. 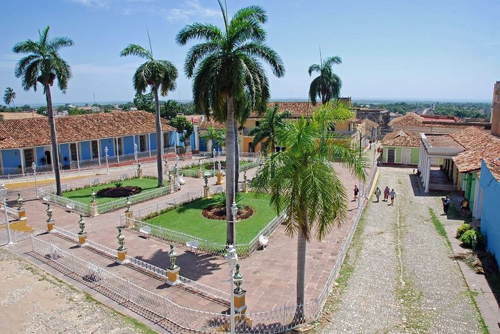 These are the main attractions in Trinidad Cuba. This is a town to visit and appreciate, a lovely place. If you want to book your accommodation in Trinidad, please contact us and we will help you. 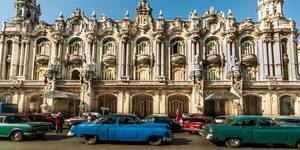 How to discover more interesting places in your trip to Cuba?